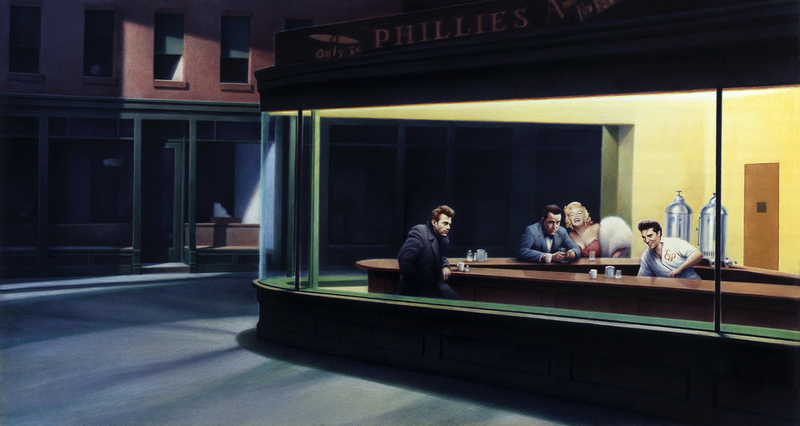 Boulevard of Broken Dreams. . HD Wallpaper and background images in the प्रतिष्ठित फिल्में club tagged: classic icons elvis marilyn monroe james dean nighthawks humphrey bogart painting.